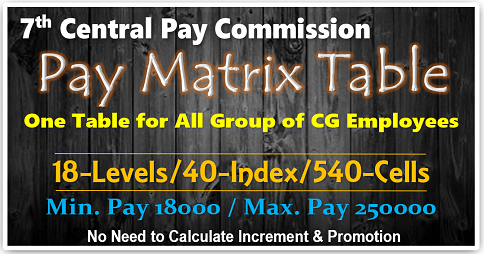 7th Pay Commission Pay Arrears Calculator for Central Govt Employees: Enter Your Basic Pay and Allowances details as on 1.1.2016. 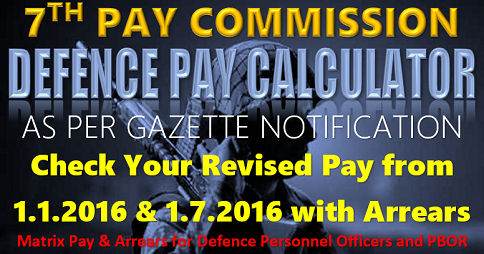 We just estimate your 7th Pay Commission arrears for the months between Jan and Jul 2016. 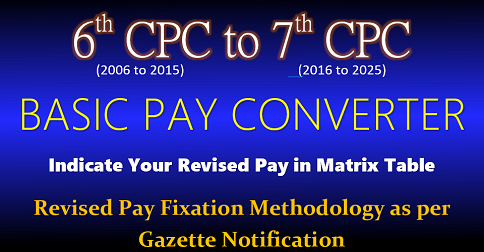 Fixation of pay in the revised pay structure : The pay in the applicable Level in the Pay Matrix shall be the pay obtained by multiplying the existing basic pay by a factor of 2.57, rounded off to the nearest rupee and the figure so arrived at will be located in that Level in the Pay Matrix and if such an identical figure corresponds to any Cell in the applicable Level of the Pay Matrix, the same shall be the pay, and if no such Cell is available in the applicable Level, the pay shall be fixed at the immediate next higher Cell in that applicable Level of the Pay Matrix. 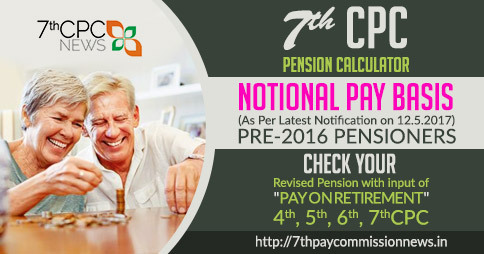 I got 7th pay commission arrears in the month of March 2017. Is there any procedure to know in the NET. 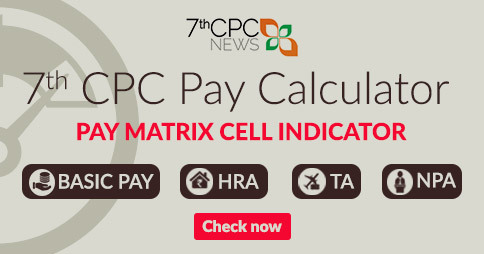 Calculator does not include x pay in basic whereas in 6 cpc x pay is the part of basic and calulated for the purpose of increment also.this needs to b rectified. In January, 16 my pay in PB was Rs. 19,900 & GP Rs. 4,600 (in PB-2 as per 6th CPC), thereafter on 01-02-2016 I promoted to next grade in GP Rs. 4800/- & opted for fixation as per 6th CPC on 1st July, 16. Now, as per 7th CPC can I opt for fixation from 1st January, 16? What is the best choice for me & can I get Arrear of pay? my fathers family pension received by mother. 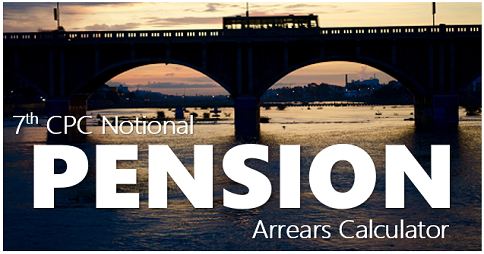 my father was retired on January 2003 from railway drawing last basic of 10325 nd at the time of December 2015 my mother getting pension basics of 7003 drawing total pension 15757/-how much pension she will get after implementation of 7th pay commission. 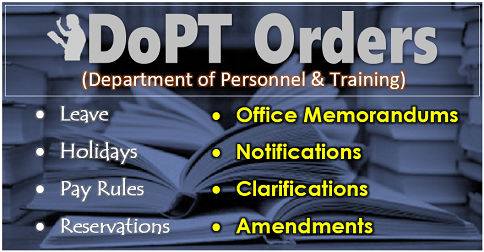 I WAS IN TRANING FROM18 10 15 FOR JE POST AND COMPLETE TRAINING On 31 -1-16BEFORE I WAS IN GP2800 NOW MYGP IS 4200 ., BEFORE TRG MY BASIC PAY INCLUDING GP WAS18820 NOW WHAT WILL BE MY BASIC PAY?